Those of you hoping to tune in and find Chella sharing her pearls of wisdom on all things games and the game industry will probably be sadly disappointed to find me, John Breeden, here instead. Chella is on vacation this week and asked me to fill in for her column. I don’t profess to be as witty or clever as her, but will do my best to hold the line for you all until our favorite columnist can return next time. So, a bit of background on me, in addition to my job as the chief editor of Gameindustry.com, I also sometimes wear a more serious hat when reporting on technology news for several trade publications and reviewing business type gear for magazines like FedTech and Network World. Anyway, the world of video games only occasionally crosses into that more serious venue, though it did last week for my Emerging Tech Column for NextGov Magazine. That’s a lot of roadways, which makes sense for a simulation of California coastal cities like LA. Back to videogames for a moment. We all know Grand Theft Auto V, which won many Game of the Year awards including right here from GiN. The game was a technological marvel when it came out, with one of the biggest open worlds and most realistic sandboxes ever created. I have personally played the single-player game all the way through to the end three different times, and developer Rockstar Games continues to make millions supporting and adding new content to their GTA Online platform (even if this apparently leaves those of us who crave single-player DLC out cold.) It any case, GTAV is a great game, and I find myself heading back over to play again fairly often, though lately I have found myself enjoying the deeper story and more fleshed out characters from GTA IV, which I am replaying again now on the PlayStation 3. That is one part of our story. The other half begins far away from videogames, and involves companies in the real world trying to develop driverless vehicles. Everyone from Google to Ford to the military’s Defense Advanced Research Projects Agency (DARPA) is trying to create cars that are smart enough to drive themselves. The latest effort, and one which is gaining a lot of traction, involves creating tractor trailer trucks that can navigate large highways, run in convoys, and deliver their goods without stopping and without a human driver. The trucks being tested now can’t operate in cities or towns, but seem perfectly capable of navigating highways. The idea would be to set up depots at both ends to launch and recover the vehicles, and have humans drive the final few miles to their destination though town. In the United States, it’s the state governments that are really pushing the driverless program, perhaps even more than feds. Several multi-state working groups have been formed in geographically close states for example. New York looks to be taking the lead, announcing that it wants driverless vehicle programs to begin testing on roads there right away. This was followed up about two weeks later with another announcement, that the first testing had been approved and would soon be underway. Here is where things get interesting. Even in states like New York where they are jumping into testing, you can only get so much data from a few tests. And they take a long time to set up and run. With only real-world testing, it might be a long time before we ask our car to drive us to the market, or have a driverless truck stock our favorite store with things we want or need. Another incident that could have been avoided with driverless cars, maybe. But remember GTAV? That hyper-violent game that towns, states and even whole nations have tried to ban in the past? Well, it turns out that many of those same organizations are now turning to the game to help with their driverless vehicle programs. 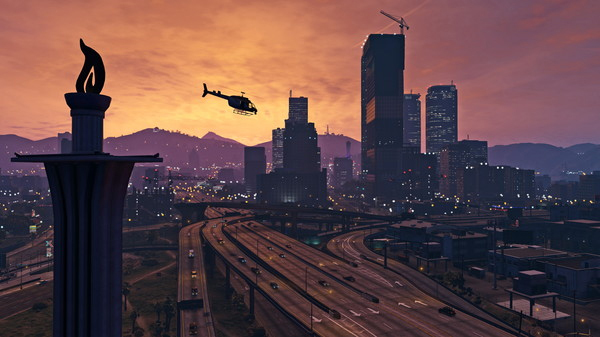 This all came out in a report from Bloomberg showing how GTAV is being used by several organizations and companies to help speed the development of driverless vehicles. The idea is to put the driverless AI into a vehicle and have it drive around the highways, city streets, country roads and everywhere in-between that GTAV offers. And then monitor how the car does in traffic reacting to surprise events like a pedestrian running out into the street (likely because they are being chased by a cop), or someone in a sports car illegally passing a slower delivery van at rush hour. Researchers can then study how their driverless vehicle reacts to those unknown stimuli and tweak how it should react in the real world. 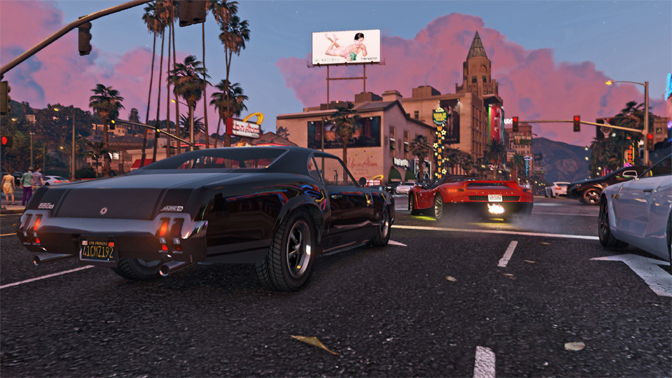 Eventually, real world testing will be needed, but GTAV is nothing if not unpredictable, and can help to speed the development process along by providing a lot of interesting challenges for the driving AI. Up next, driverless police cars. Now that is a scary thought. I find it ironic that the game which some lawmakers have tried to ban, or even burn, in the past, and to some extent this applies to the whole GTA series, is now helping various government and private efforts to develop driverless vehicles in the real world. It’s a real testament to how good of a simulation is hiding under that beautiful, violent veneer. And hey, if any of those organizations doing the testing need help evaluating how a driverless vehicle reacts to, say, someone running around downtown Los Santos shooting rocket launchers, please let me know and I’ll bring the Noob Tubes! 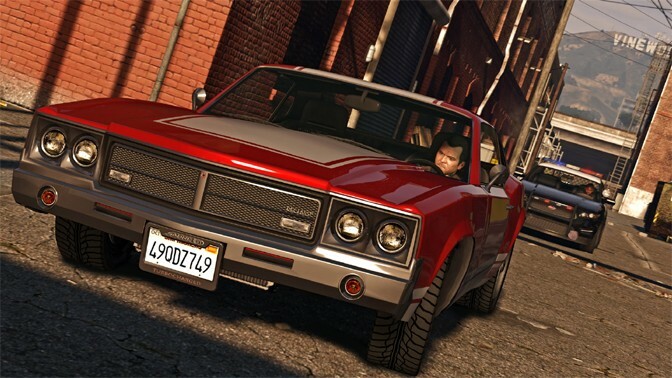 The post Grand Theft Auto V Helping Cars to Drive Themselves appeared first on Game Industry News.